Evan Jones grew up on St. Simons, Georgia. His practice focuses primarily on representing victims of catastrophic personal injury, medical malpractice, and nursing home negligence. He has recovered almost $55 million dollars for his clients. As 1991 graduate of the University of Georgia School of Law, Mr. Jones served in the U.S. Army Judge Advocate General’s Corps and prosecuted many cases in both federal and military courts. From 1995 to 2003, he primarily defended physicians, hospitals, and nursing homes in medical malpractice lawsuits before deciding to represent plaintiffs in such cases. He is a member of the Georgia Trial Lawyers Association, Southern Trial Lawyers Association, and America Association of Justice. Frequently, he lectures on medical malpractice and wrongful death matters for legal seminars. 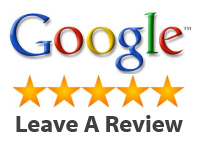 He is AV-rated by Martindale-Hubbell and is listed in the Bar Register of Preeminent Lawyers. Along with co-counsel, he has obtained the largest nursing home arbitration verdict in the State of Georgia. He also was lead counsel in Peterson v. Reeves, 315 Ga. App. 370 (2012), cert denied, 727 S.E. 2d 171, a decision that helped to define a psychiatrist’s duty under the standard of care to treat mentally ill patients in a voluntary outpatient setting. It has been cited nationally by Courts and used in scholarly articles to help define mental health rights. He is annually named one of Georgia’s “Super Lawyers” by Atlanta Magazine, . He is listed in Who’s Who in American Law. 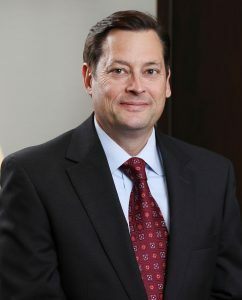 He is AV rated by Martindale-Hubbell and is a member of The Association of Trial Lawyers of America, the Georgia Trial Lawyers Association, and the State Bar of Georgia (member, Litigation Section). He is also a member of Lawyers Club of Atlanta. Evan and his wife, Andrea Jones, have been married for almost twenty-five years and have three children: Connor (22), Sarah Kate (19) and Jake (15). Connor was a member of the UGA Baseball Team, a 3-time member of the SEC Academic Honor Roll and was drafted as a pitcher by the New York Yankees. Sarah Kate is a student at UGA and a member of ZTA. Jake is in high school, and participates in triathlons and skate boarding.